2018 has been QUITE THE YEAR for me… so let’s find some of my highlights. 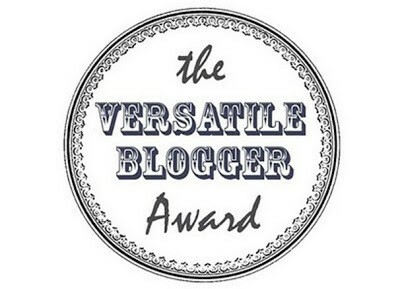 Winning a UKYA Blogger award. I’m still not sure how I won the ‘Best Newcomer’ category, but my word, what a moment that was! I was SO NERVOUS for this, but it was absolutely incredible. I love both Alice and Mel so so much. HE’S A MASSIVE AMERICAN AUTHOR and she’s one of the best people in my life, so this was an absolute honour. I’m still not sure how I was asked to do this event. I NEVER thought I’d get to the point where I thought 10s of 1000s of people would view my blog, but here we are and I legit cried when I hit 30,000 views. It’s insane. Any time someone has joined in #SixforSunday, my little heart grew exponentially. I’ve absolutely loved creating and doing #SixforSunday. Watch this space for the prompts for next year! Having my words immortalised in books! This year has seen some of my blogging words included on books and that is INSANE. It’s an incredible feeling and I am ALWAYS here to shout about books! These are not in any order really, but there’s so many amazing things that happened in 2018. It’s been such an incredible year for blogger me. I can’t believe this is quite my bookish life. How are we all? Are we all ready for more #SixforSunday? There we go, some MG and some YA choices! This was a lot of fun! My list surprises me… I definitely have a whole chunk of others I’d love to see. If you’re interested, talk to me! I’d love to share more of my ideas! Hello there! Wecome to another installment of #SixforSunday! This week sees me take on something that took an AWFUL LOT OF THOUGHT. Mainly because I needed to get it right. And I didn’t want to miss out anyone who I loved. Mainly, I have too many choices! Now… the majestic book that is Floored came along and saw many of my faves ACTUALLY collaborate in an EPIC way, so if you’ve not got on that yet, I’d really like you to. I think this MG book would break my heart and be the most beautiful book ever! This one literally just came to my brain and I think my brain is a genius. I think this could be such a brilliant combination! GUYS. I need this to happen… I just think these 2 would boss a YA contemporary that punched me in the face and made me cackle with laughter. I just think this would be a BRILLIANT MG book pairing… happy to read WHATEVER! So if there’s anyone reading this who can make these things happen, that’d be amazing thanks! Remember to share your #SixforSunday posts with me and I look forward to going “OMG YES THAT WOULD BE A MINT PAIR THANKS!” at all of your suggestions! So, my dream panels? WELL THIS IS GONNA BE FUN. I’m gonna go 3 MG and 3 YA because LOVE. “Contemporary YA: Why it matters” with Laura Steven, Alice Oseman, Sara Barnard and Katherine Webber. “Writing badass characters” featuring Leigh Bardugo, Melinda Salisbury, Alice Broadway and Alwyn Hamilton. “Writing stories that make our readers cry (we love it)” featuring C.G.Drews, Karen Gregory, Lisa Healthfield and Adam Silvera. “Creating worlds kids want to read about” featuring Helena Duggan, Maz Evans, Ross Mackenzie and Kiran Milwood Hargrave. “Writing incredible characters” featuring Peter Brown, Lisa Thompson, Alex Bell and Jessica Townsend. “Books: an ode to books” featuring Anna James and Piers Torday in conversation. Side note: I am still waiting for a Floored Seven panel. Remember to share your dream panels using #SixforSunday! I can’t wait to see what you all think!